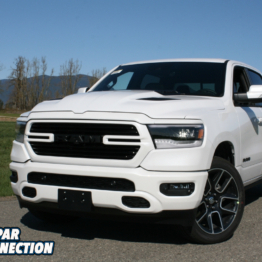 Since its release in 2015, the Ram 1500 Rebel has been selling like hot cakes. 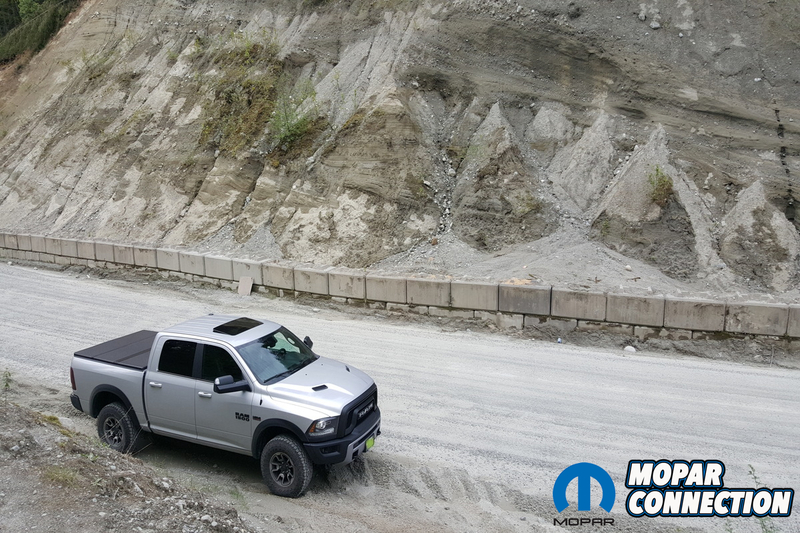 Combining city driving manners with off-road capabilities, the Rebel truly is the best of both worlds. The Rebel is filled with goodies that will allow you to go off-road more than a regular 1500 while still maintaining better than expected gas mileage and full towing capabilities. 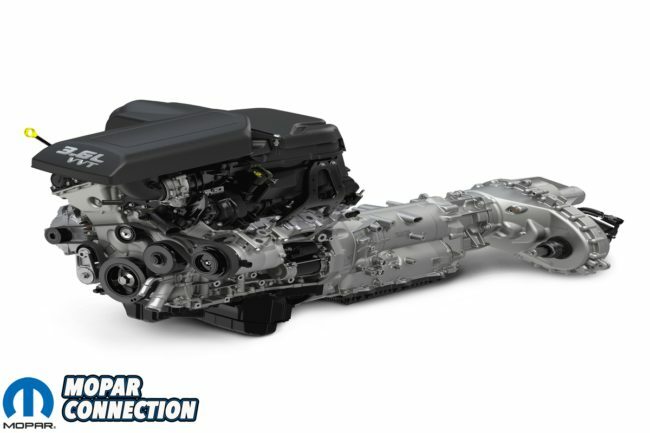 We first started looking at Rebels mid-way thru 2016 when we realized our 2000 Chrysler Neon wasn’t cutting it and we needed a truck [we did learn you can fit 10 big block cylinder heads in a Neon though – Ed]. 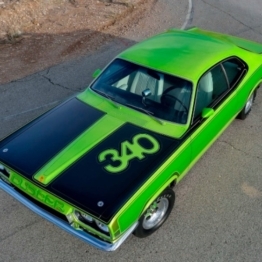 At first, we can admit we weren’t big fans of the front grille or giant RAM lettering on the tail gate. That is until it started growing on us. On February 28th, 2017, we decided to factory order one to our specifications. 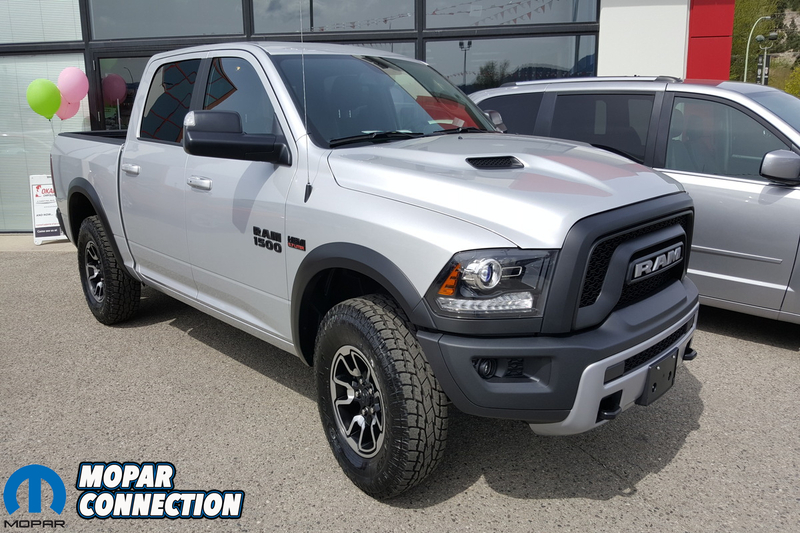 On April 29th, 2017, the truck arrived at the dealership and we took delivery. 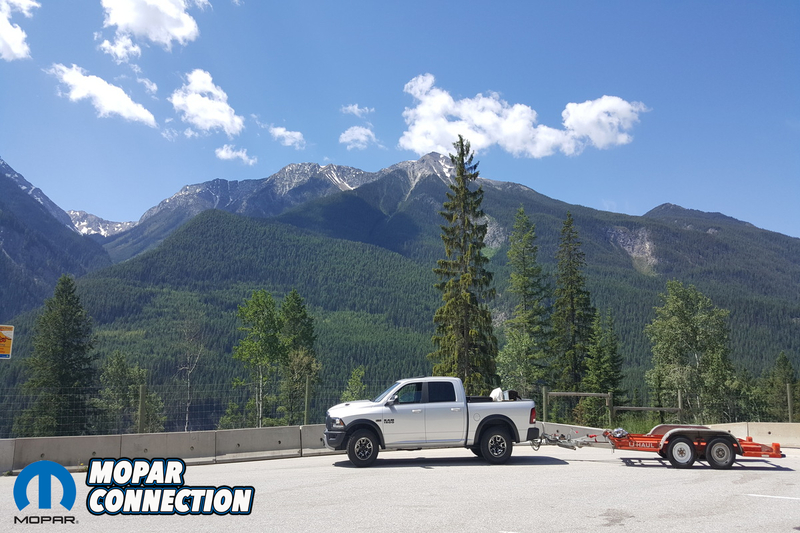 We have now logged over 11,000 kilometers (6,800 miles) on the truck and made numerous long distance trips with it. 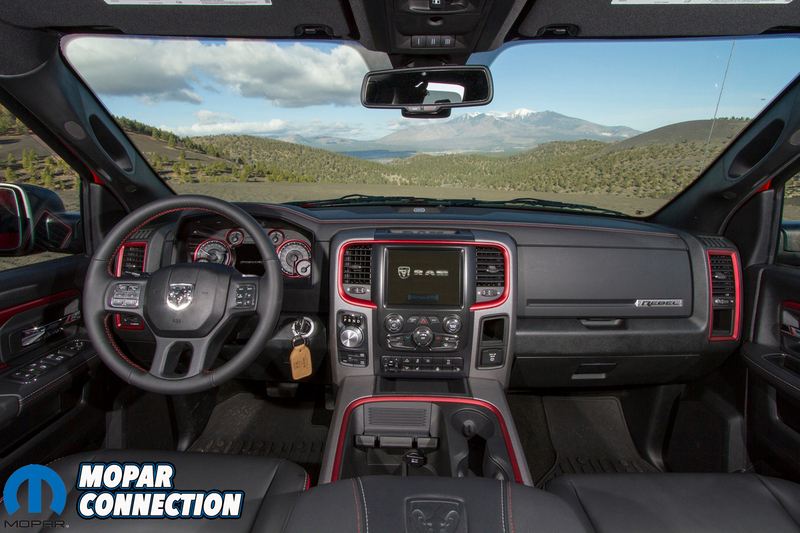 From the factory, the Ram 1500 Rebel comes absolutely loaded with options. 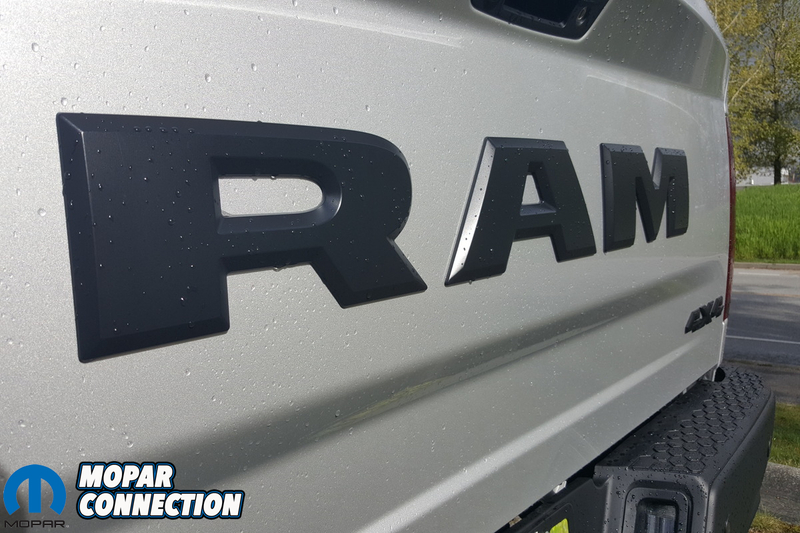 Standard on the Rebel is Ram’s Active-Level Four-Corner Air Suspension. 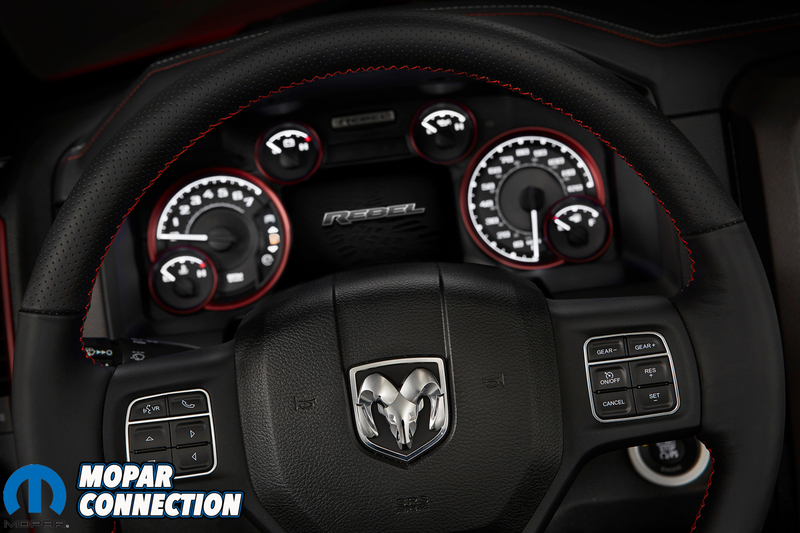 There are four settings to choose from: Entry/Exit, Aero, Normal and Off-Road. Entry/Exit is great for shorter people or the elderly. 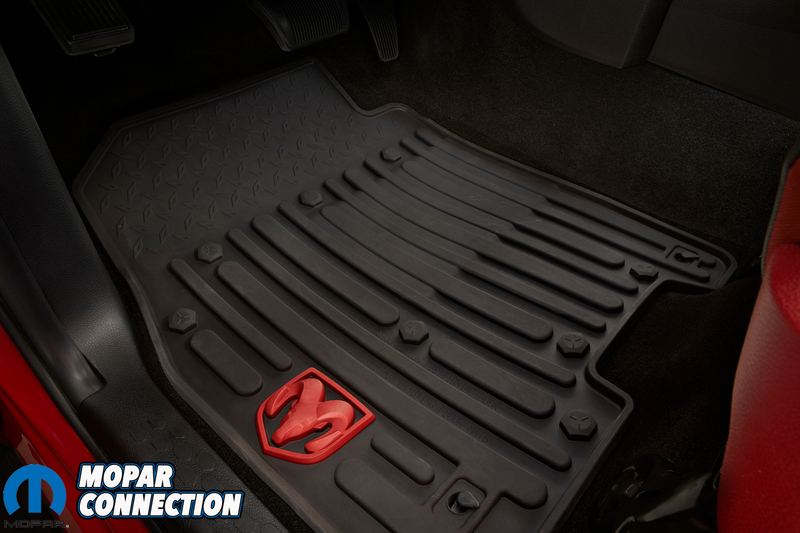 When Entry/Exit mode is chosen, the Rebel lowers a total of 3 inches from Normal mode. This mode also works fantastic if you are loading or unloading cargo from the box. 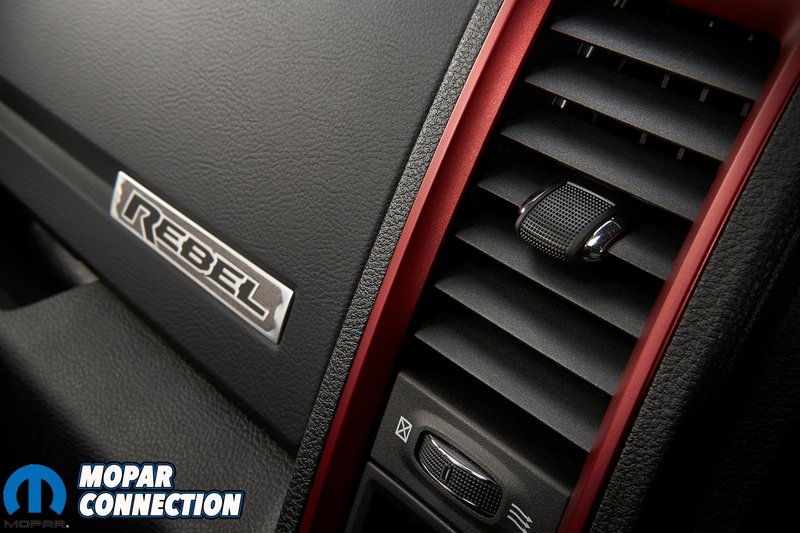 There is also a button on the key fob that allows you to put the Rebel into Entry/Exit mode when out of the truck. 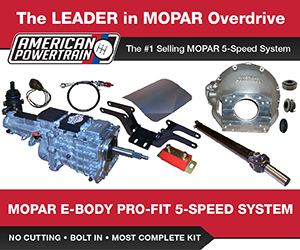 Aero mode is designed for improved fuel economy. 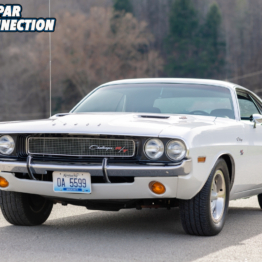 When the Rebel senses a speed of 60 mph for more than 20 seconds, it drops down about ½ inch, especially in the nose for improved aero dynamics. It will also automatically go into this mode if it reaches 66 mph. 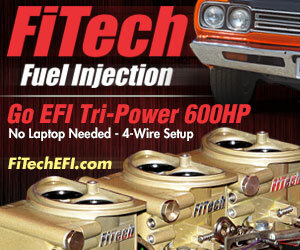 This setting works fantastic on long road trips and really does make a difference in fuel economy. 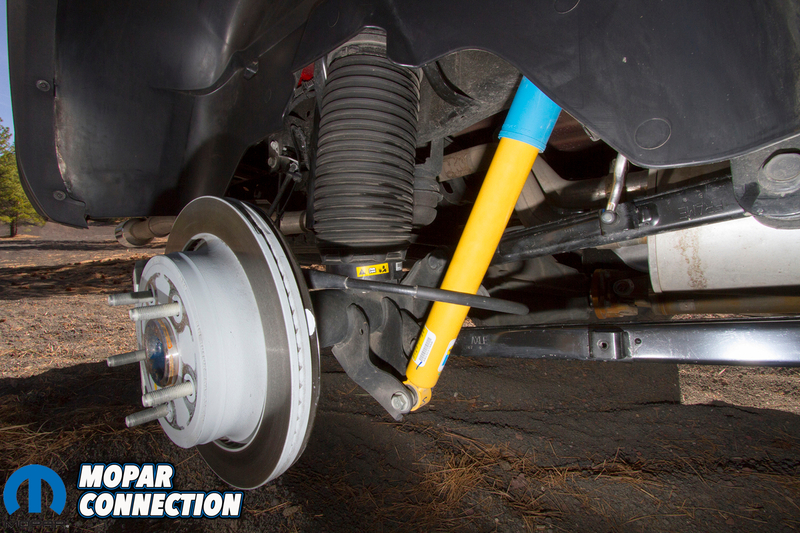 The main mode of the air suspension is Normal mode. 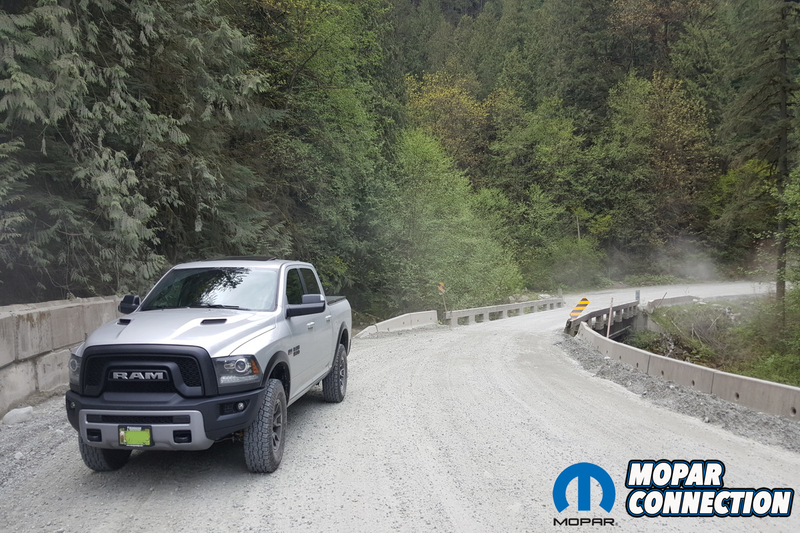 This setting is for day to day driving in the city, back country roads and everything in between. The final mode is Off-Road Mode. 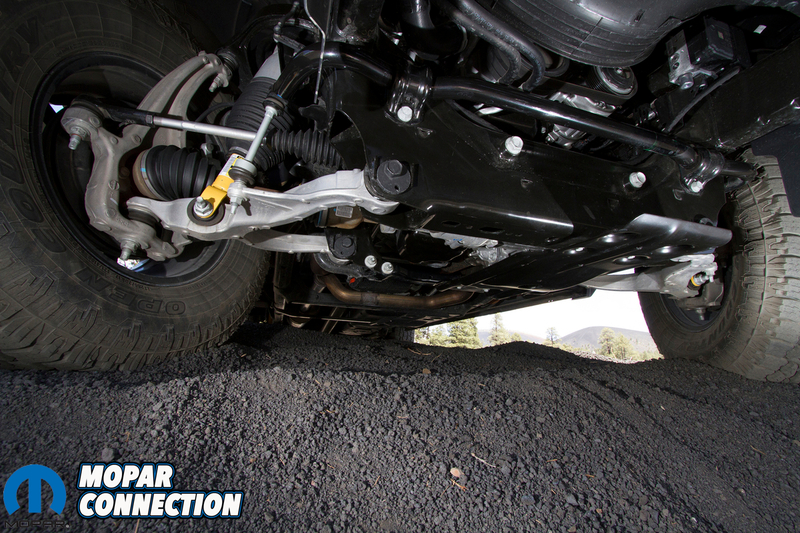 Off-Road mode raises the truck around 1-1.5 inches over Normal mode, giving you better ground clearance. Unfortunately, with a speed limit of 25mph, it kind of limits you to what roads you can use it on. 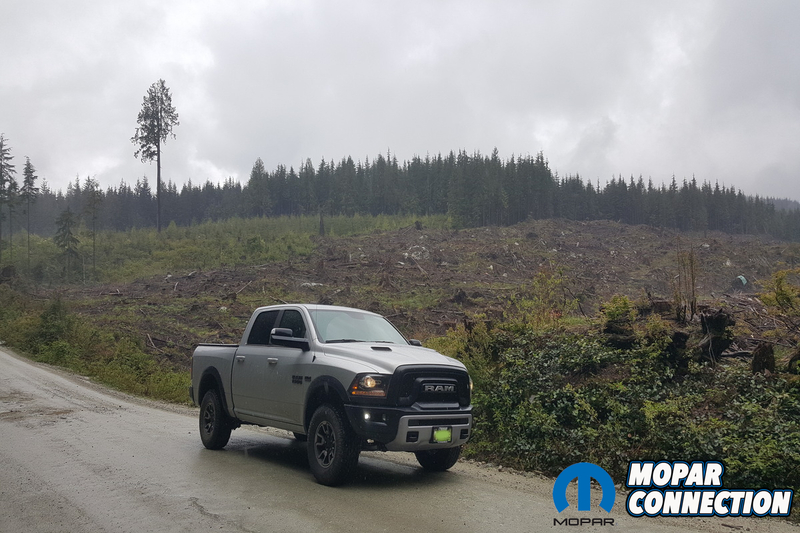 We found on gravel forestry roads we’d like to have it in Off-Road mode to allow for more room with bouncing rocks flinging up however as soon as we’d go over 25mph, it would automatically lower back into Normal mode. We wish there was a way to slightly bump up the speed limit for Off-Road mode. 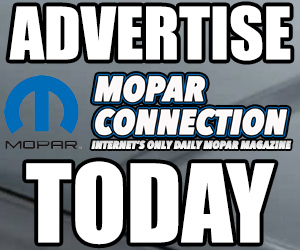 Another annoyance we noticed was the Rebel must be running and the doors must be closed when it’s adjusting air suspension modes. We have found ourselves waiting briefly in the truck for the air suspension to finish changing modes. While not a huge deal, it can be a slight bother from time to time. 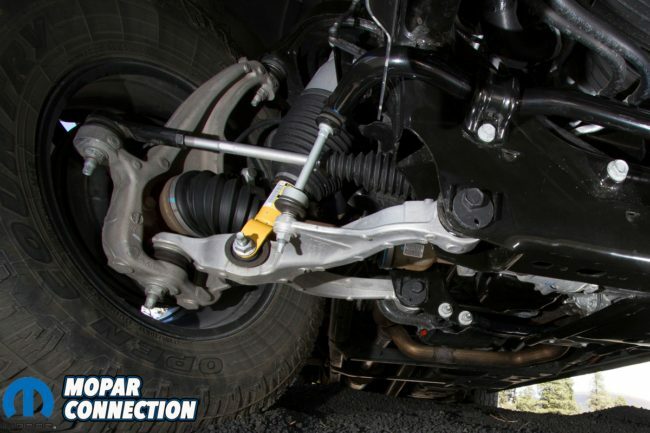 Combined with a set of Bilstein Monotube shocks, the Rebel’s air suspension does allow for a pretty comfortable ride, whether on pavement or not. It also makes a huge difference with towing. 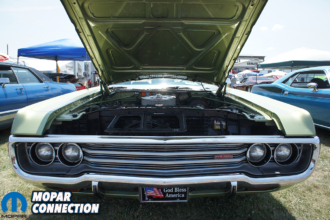 The Rebel’s air suspension didn’t squat what so ever, giving us a comfortable ride while pulling heavy items like our 1971 Plymouth Road Runner or a friend’s 1969 Dodge Super Bee. When equipped with the 5.7L Hemi and 3:92 gears, the Rebel can tow up to 9,350 lbs according to Ram. 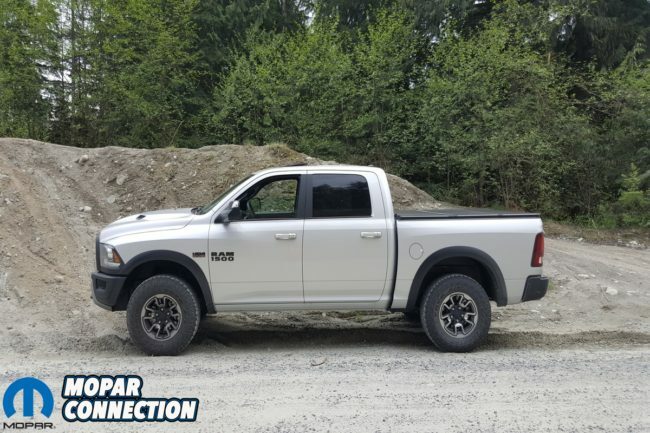 The Ram 1500 Rebel comes standard with FCA’s Pentastar 3.6L V6 engine producing 305 horsepower and 269 ft. lbs of torque. The optional engine is the 5.7L Hemi V8 producing 395 horsepower and 410 ft. lbs of torque. 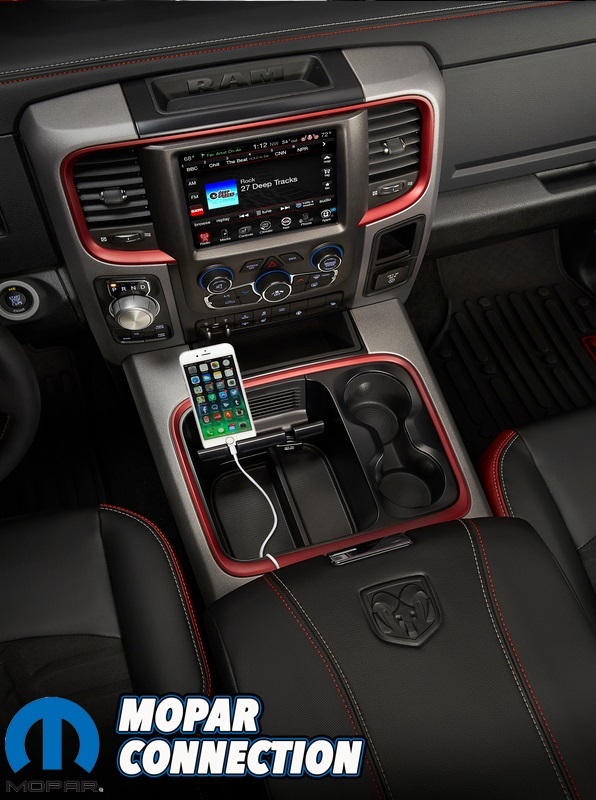 In a truck like the Rebel, we don’t understand why you would choose the V6 engine but to each their own. 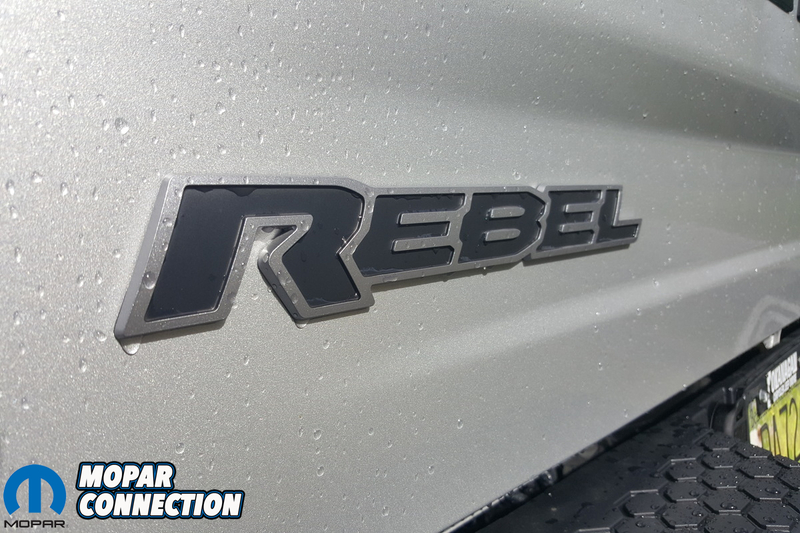 There is no 3.0L Ecodiesel option in the Rebel however we have heard from numerous owners that if they had the option for it, they’d choose it. 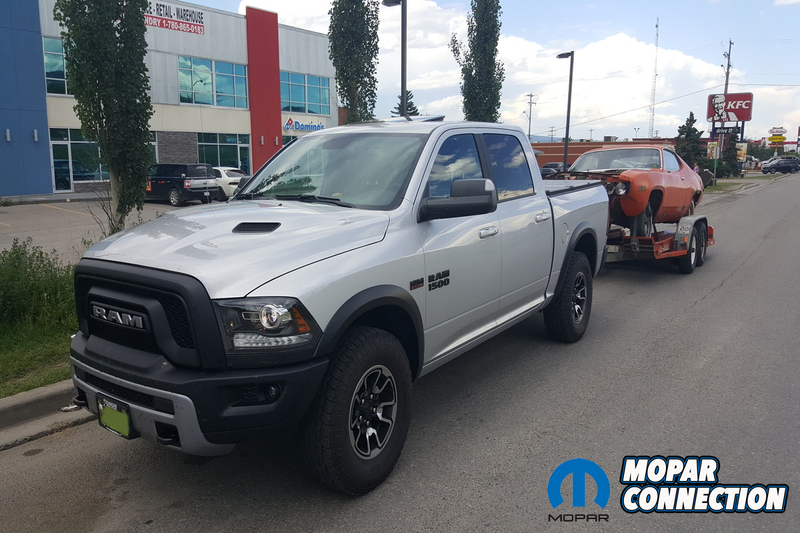 With the 5.7L Hemi’s FuelSaver Multi-Displacement System (MDS), we’ve got some pretty impressive fuel economy numbers. 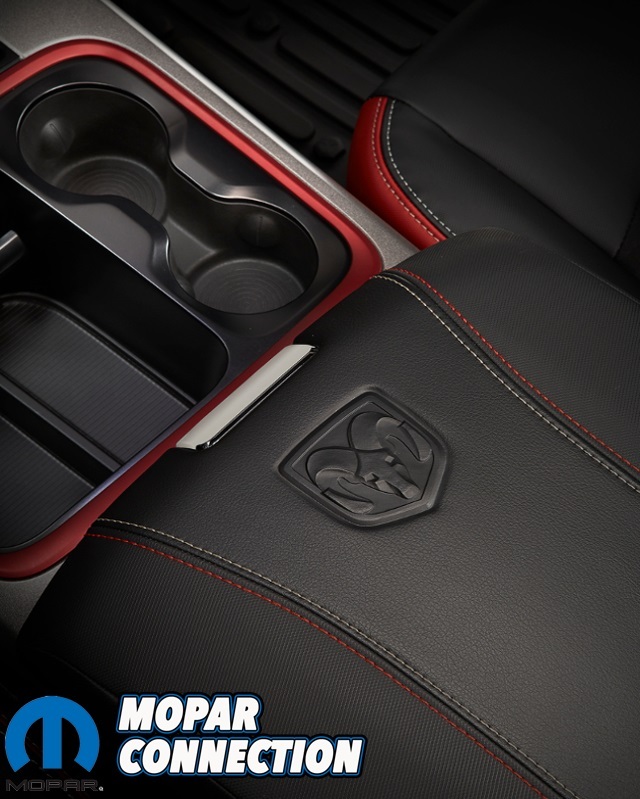 Ram rates the Rebel’s fuel economy when equipped with the Hemi at 18 mpg in the city and 25 mpg on the highway. We’ve found the mileage with ours is about par with those ratings. 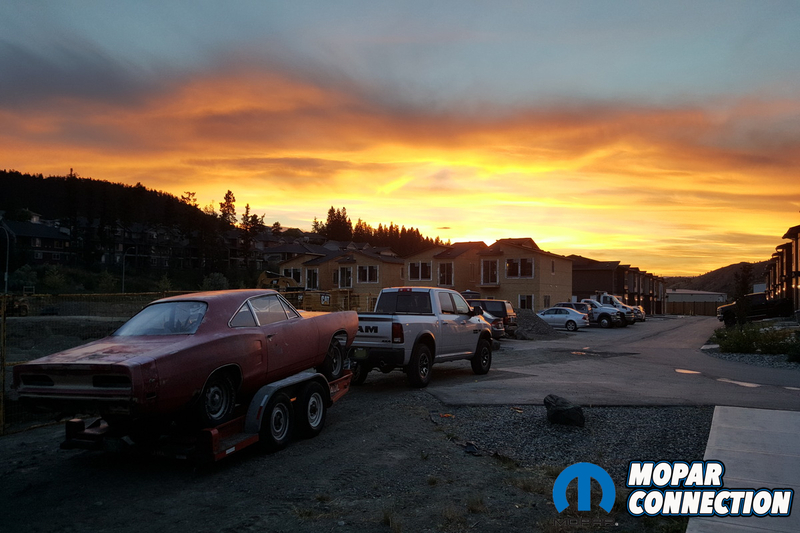 We averaged about 16.8 mpg recently on the highway while towing our 1971 Road Runner. 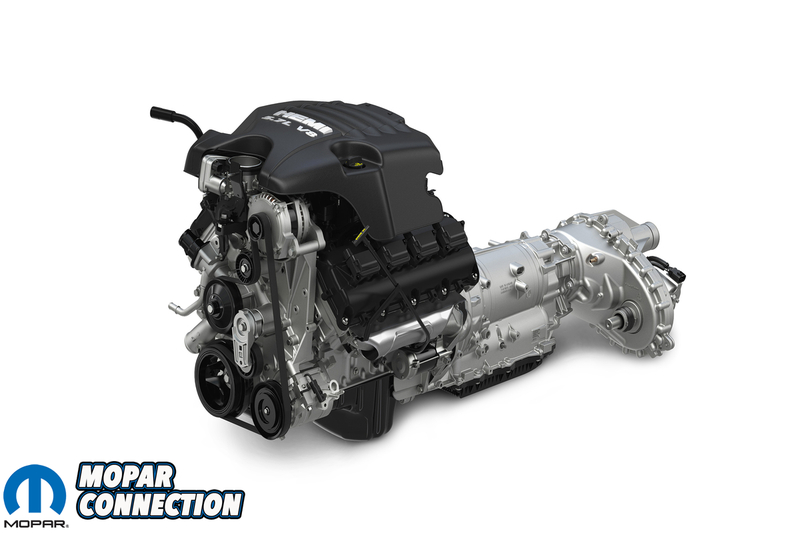 Both engines come standard with FCA’s proven quick shifting 8 speed automatic transmission. 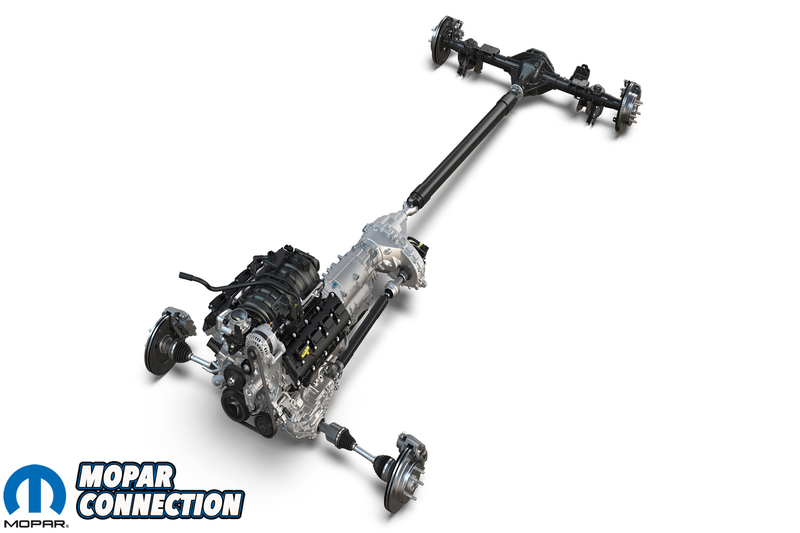 This transmission is tuned for both heavy hauling while maintaining fuel efficiency. Like most other Ram 1500s, the 8 speed is shifted by a turn dial knob on the center of the dash that took some getting used to. 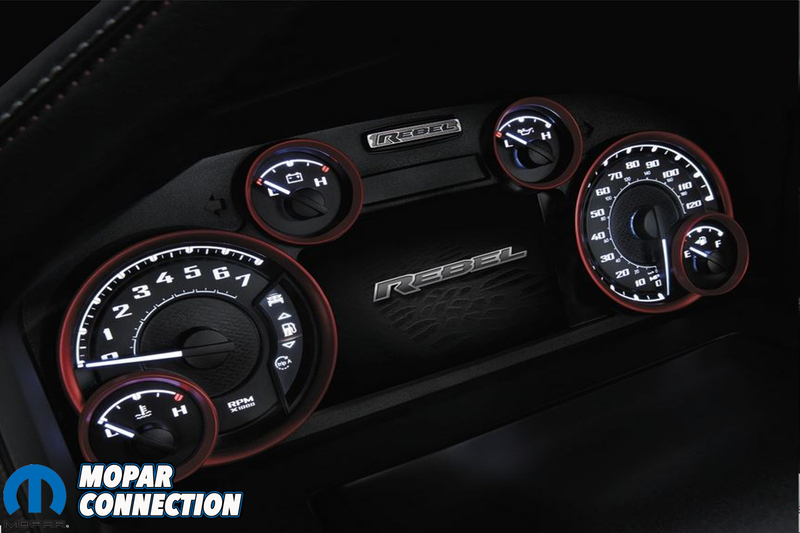 You are able to shift manually via buttons on the steering wheel but we find we don’t use them anywhere near as much as we would with a hand-held center console shifter. Standard in the Rebel is 3:92 ratio gears in the rear axle however 3:21 ratio gears are an option as well as an anti-spin differential. 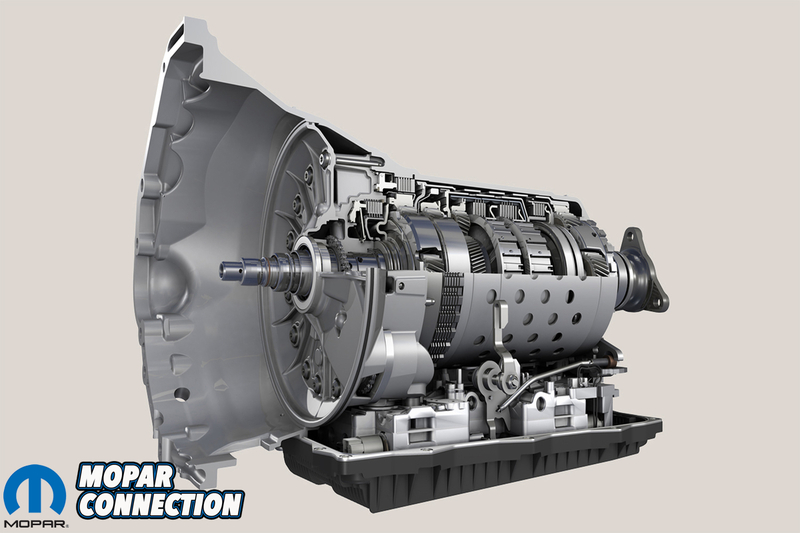 The electronic shift-on-the-fly part-time transfer case is a BorgWarner unit and features “2WD High, 4WD High and 4WD Low” settings. 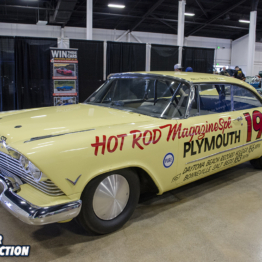 The Rebel rides on a set of 17×8 cast aluminum wheels that feature polished raised portions with matte black pockets. 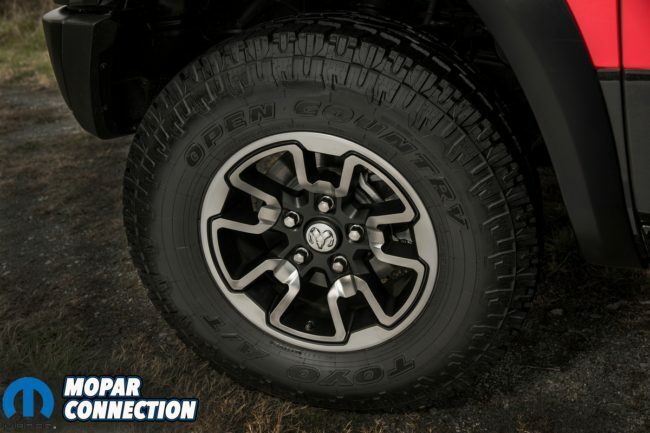 They come wrapped in 285/70R17 Toyo Open Country A/T Tires. These tires are absolutely awesome for traction and grip off-road while at the same time giving us comfort cruising down the highway and give almost no road noise. They do have the Mud & Snow (M+S) rating so you can run them year round if you live somewhere where there is lots of snow. 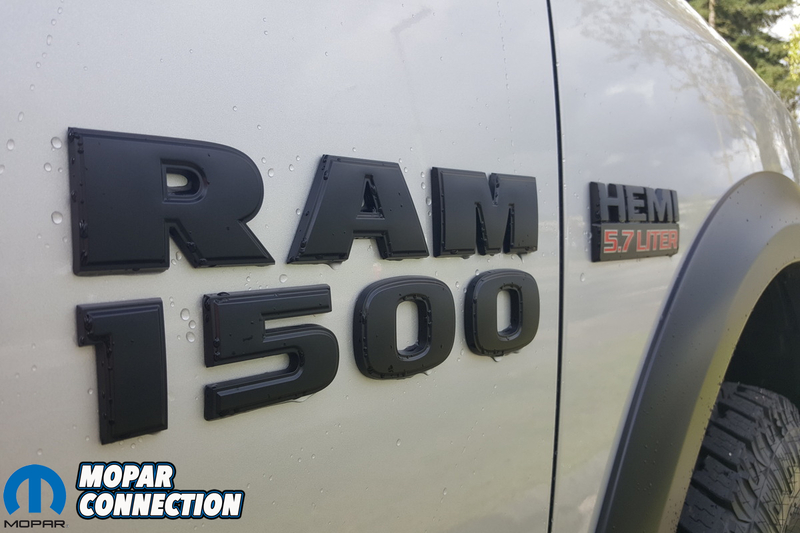 The exterior of the Rebel features many “Rebel only” parts that give it an easy to spot quality when comparing it to other Ram 1500s. First, you will notice there is almost no chrome what so ever on the truck. The bumpers, badges, trim; everything is black. 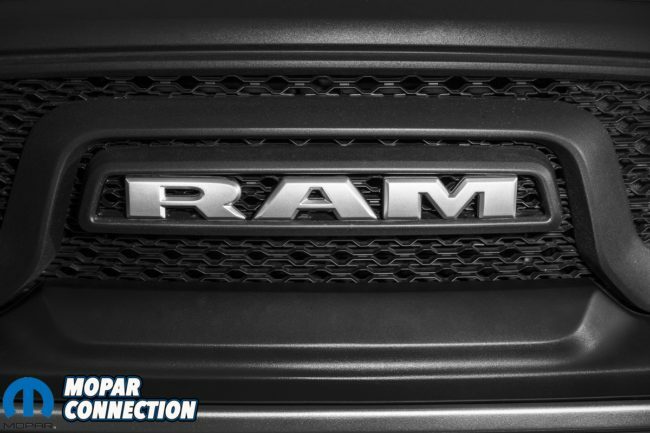 Ram’s signature crosshair grille has been replaced by a Rebel only blacked-out grille that houses silver “RAM” lettering. 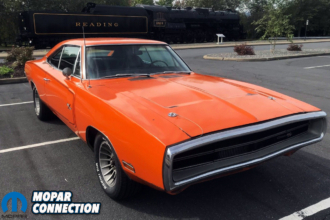 The usual Ram plastic and chrome/ painted front bumper assembly has been replaced with a heavy duty steel unit that has been powder coated black for durability. Again, another Rebel only feature. In amongst all the blacked out pieces are matching blacked out bi-functional halogen projector headlamps and LED fog lamps. 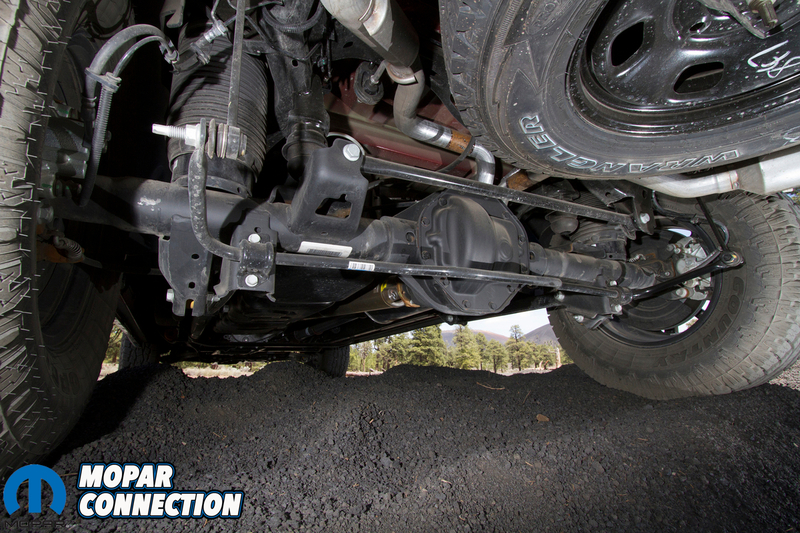 Underneath the front bumper, you’ll find a heavy duty silver powder-coated steel skid plate for added off-road protection. 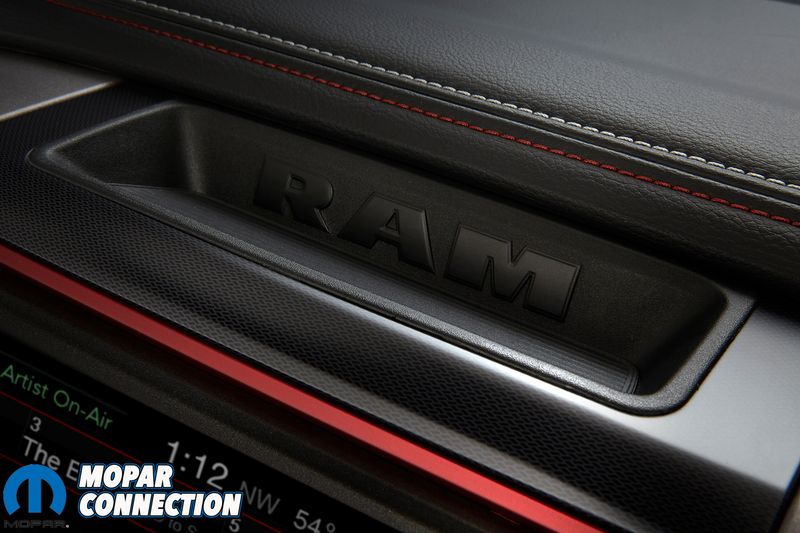 Completing the front end is RAM’s “Sport Performance Hood” that comes standard on every Rebel; something you’d have to pay over $1,500 for on other models of 1500. Continue down the side of the Rebel and you’ll find matte black fender flares and black badges to continue the dark theme. 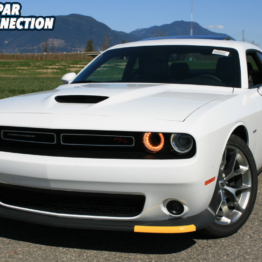 You’ll also find body-colored door handles and matte black 6×9” power heated mirrors. 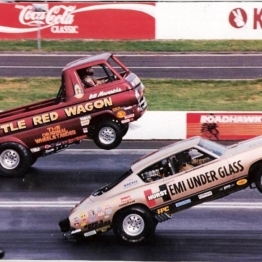 Full size tow mirrors are an option with the trailer tow package. 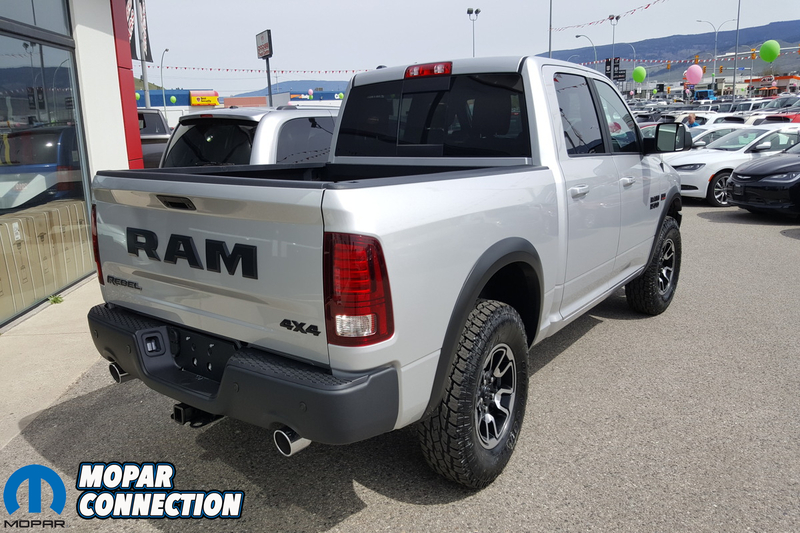 On the rear of the Rebel, Ram’s signature “Rams Head” badge on the center of the tail gate has been replaced with large “RAM” letters like the Limited trim has; only these have also been done in black. While Ram offers a body color option for the letters on the Limited trim, you can only get them in black on the Rebel. While we do like them, we feel there should be an option to delete them from the factory. Many have tried to delete them; just to find 6 holes under them which require body and paint work to fully get rid of. 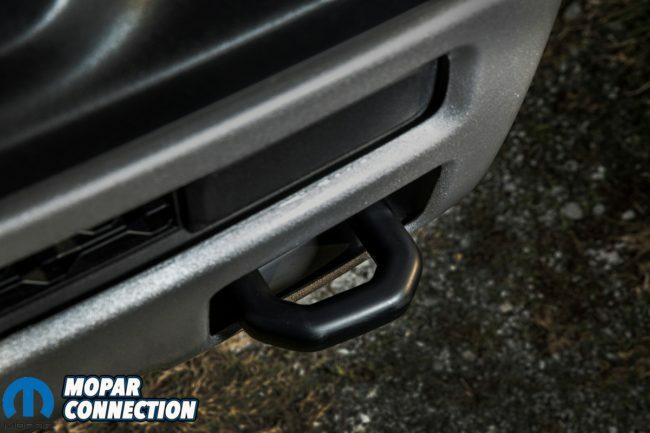 The back bumper matches the front with a black powder-coated finish. One of the only pieces of chrome you’ll find on the truck is the dual chrome exhaust tips. 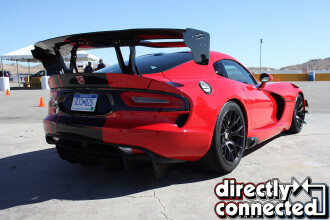 The taillights are LED and feature a black surround. 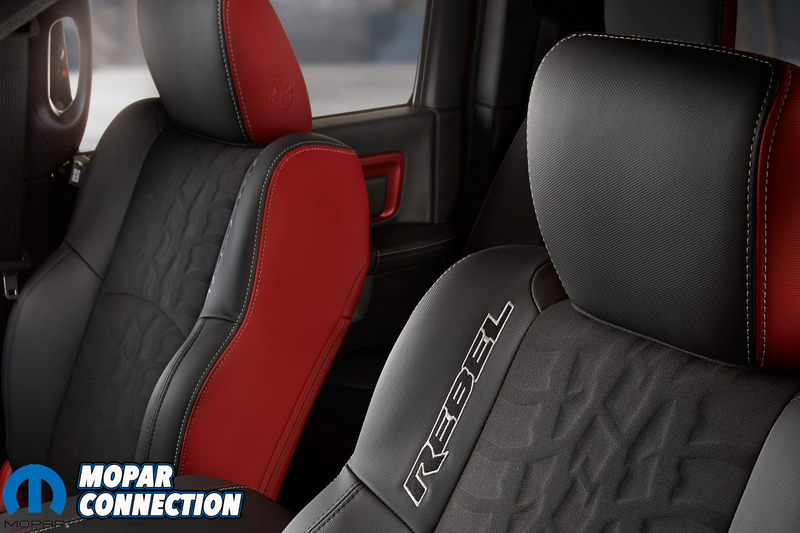 Many options are available to order for the exterior of the Rebel. 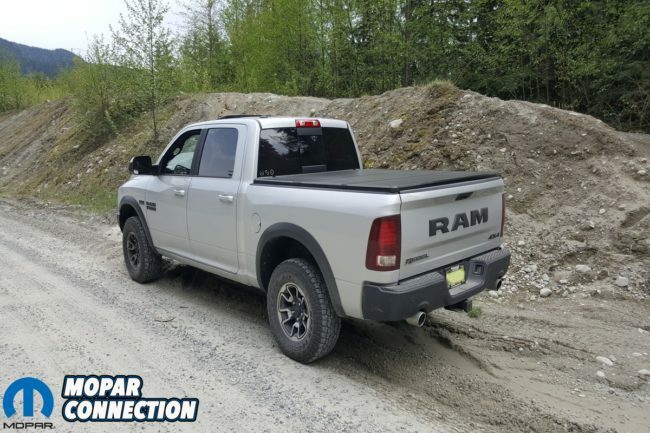 These include the Ram 1500 Rebel Black Group (all black front bumper skid plate and wheels), Luxury Group (added lighting and creature comforts), Protection Group (added underbody skid plates), Remote Start & Security Alarm Group, softshell tonneau cover, black tubular side steps, spray-in bed liner, RamBox cargo management system and a larger fuel tank. Open the door and step into comfort with the truck’s exclusive Rebel only interior. The cabin of the truck is huge and will fit four large humans easily with head and legroom to spare. The interior is all black and features red accents everywhere; from the anodized trim pieces to the red stitching on the dash and steering wheel. You won’t find any light colors here. 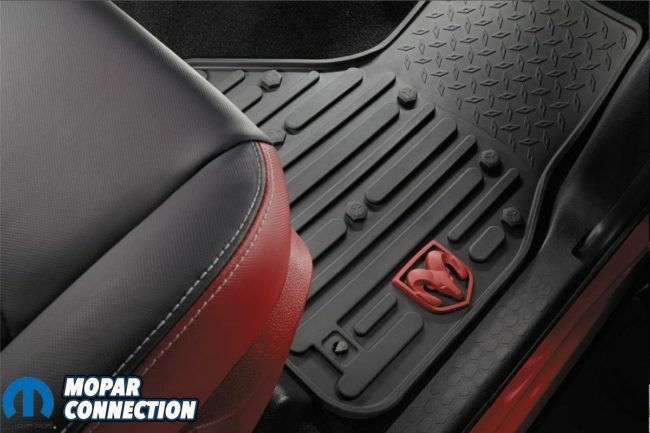 The high back bucket seats are bolstered to keep you in place. 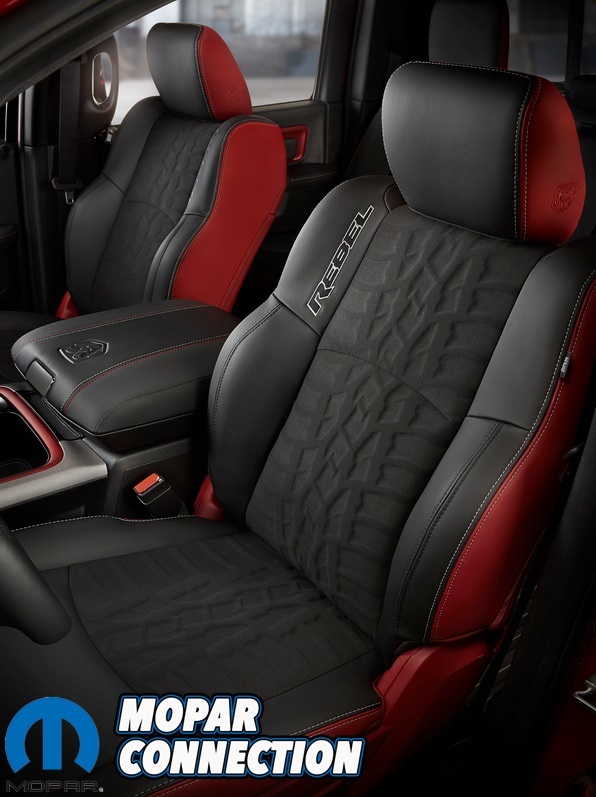 They are finished with black and red heavy duty vinyl and feature Toyo Open Country tire-tread-embossed seat inserts to match the tires. 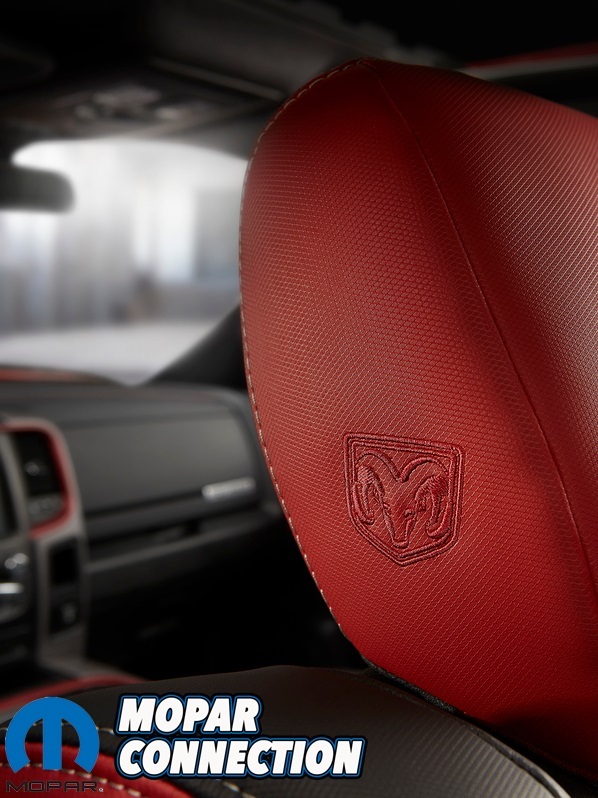 If red isn’t your thing, there is an option for an all-black interior that started for the 2017 model year. 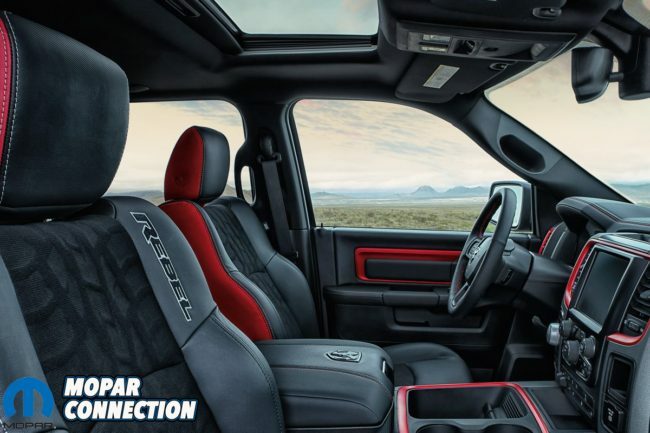 Standard on the Rebel is heated front seats, heated steering wheel, heavy-duty all season rubber mats and a Rebel only gauge cluster and glove box badge. Unfortunately, there is no cooled seat option; one of the truck’s only negatives in our opinion. 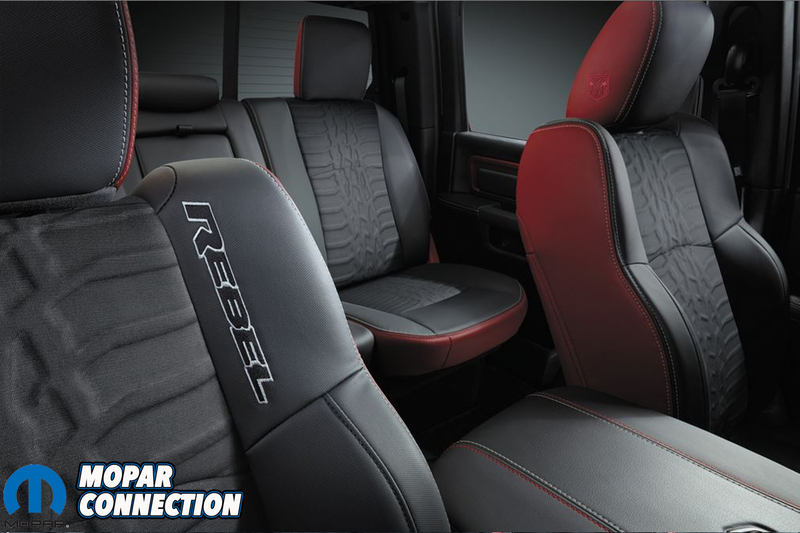 The Rebel’s interior is loaded with creature comforts to ensure you enjoy those long road trips. 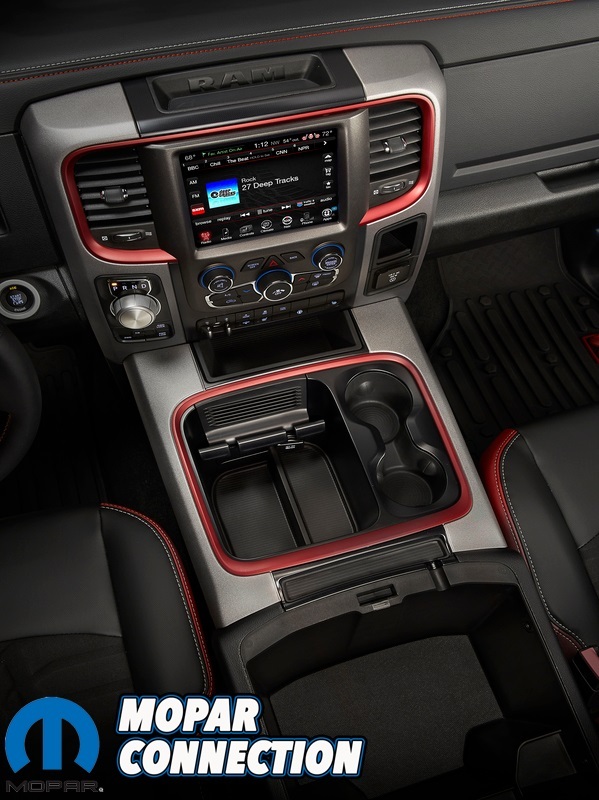 Standard is a full length center console with storage and plug-ins galore; as well as a built in tablet/phone holder. 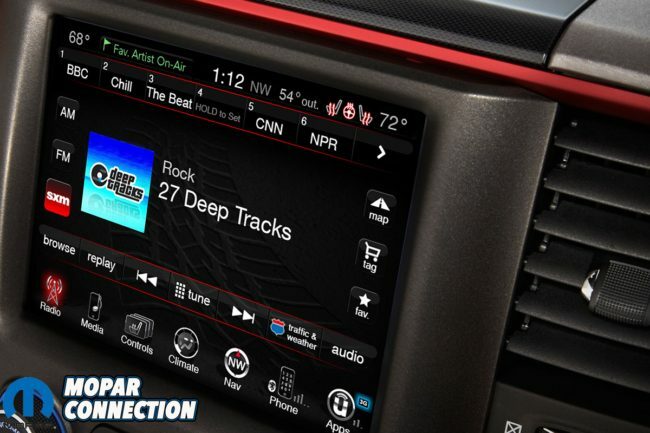 Options for the interior include a power sunroof, Alpine brand 9 speaker sound system with subwoofer (standard with the sunroof), Keyless Enter-N-Go with push button start, rear window defroster, single-disc CD player and an Uconnect 8.4” touchscreen with SiriusXM, hands-free Bluetooth and navigation. 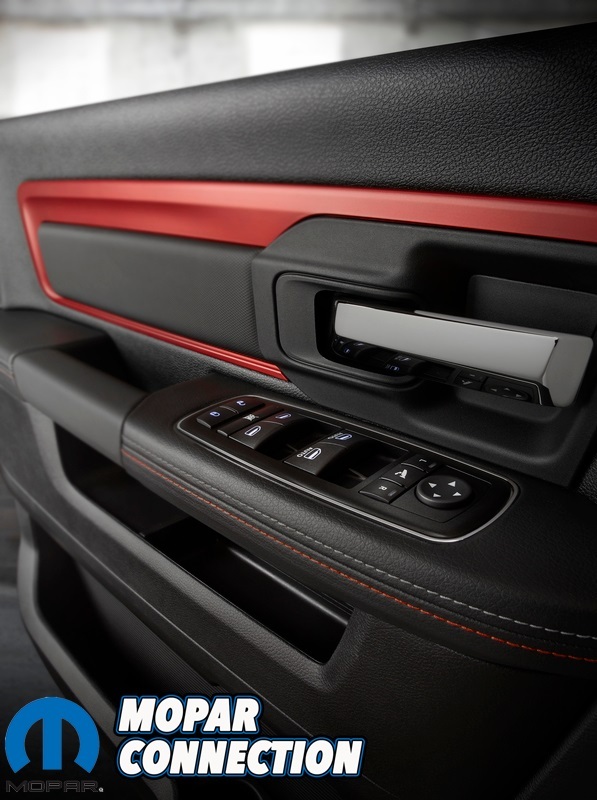 Other technology options include Park-Sense rear back up sensors and a Parkview rear back up camera. 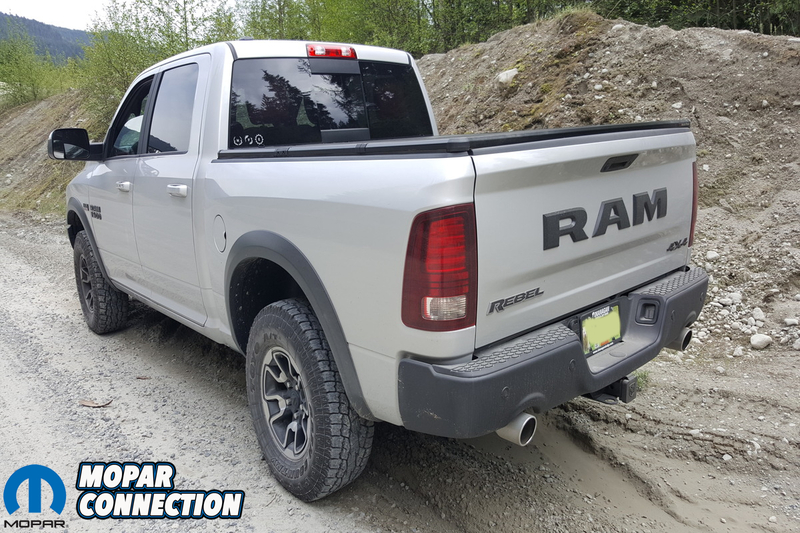 The 2017 Ram 1500 Rebel starts at $45,095 US/ $44,195 CAD plus $1,395 US/$1,745 CAD destination charge and only comes in a Crew Cab 4×4 5.7’ long box format. 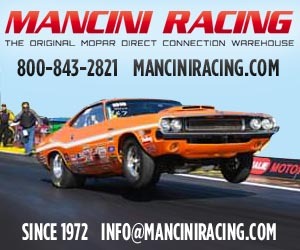 Available colors are Delmonico Red Pearl, Flame Red, Bright White, Bright Silver Metallic, Mojave Sand, Granite Crystal Metallic, Brilliant Black Crystal Pearl and Blue Streak Pearl. 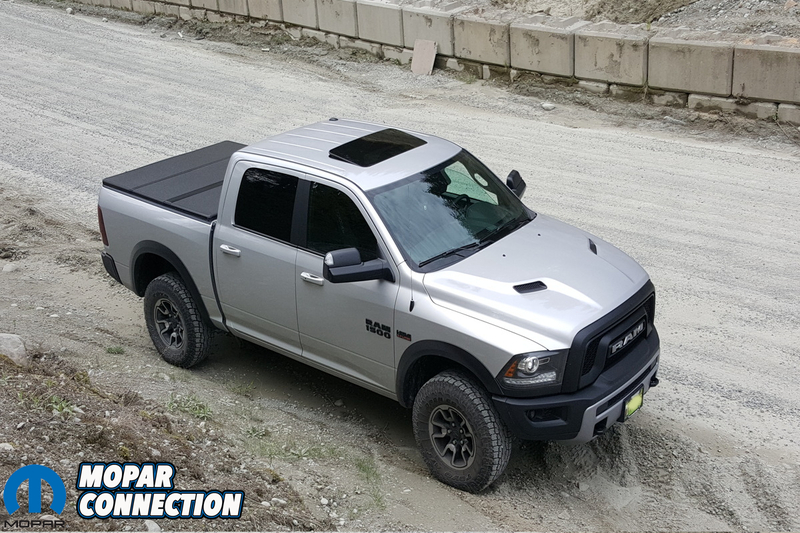 It’s available in one solid monotone color like ours or you can get a Brilliant Black two-tone along the bottom of the truck. 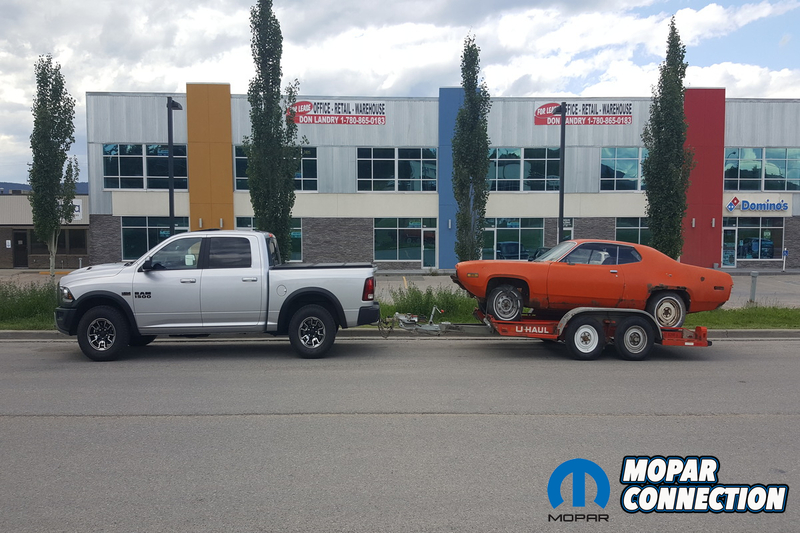 We would just like to personally thank John McAuley and the team at Okanagan Chrysler in Kelowna, British Columbia for the hospitality and fantastic service while making our purchase.